A Barclays CaixaBank deal worth £633m (€800m, $1.050bn) has been agreed for part of the British bank’s Spanish unit, specifically its retail, corporate banking and wealth management business in the country, known as Barclays Bank SAU. The agreed amount is quite a discount to the unit’s net asset value of €1.7 billion. According to CaixaBank, Spain’s third largest bank, the final price will be adjusted to Barclays Bank SAU’s net asset value at the end of 2014. The deal does not include Barclays’ investment banking business in Spain or its credit card division (Barclaycard). The London-based bank will carry on operating these businesses in Spain. 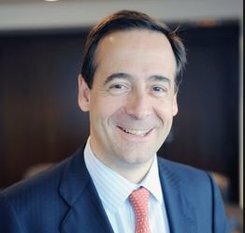 CaixaBank’s acquisition includes about 550,000 clients, 270 branches and 2,400 workers. 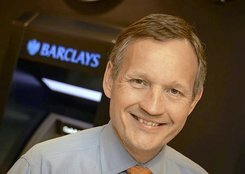 Mr. Jenkins says Barclays is on track to deliver sustainable returns for shareholders. Barclays also announced it has completed the sale of its United Arab Emirate Retail Banking Business to Abu Dhabi Islamic bank at an estimated pre-tax gain of £119 million ($197 million). The transaction is confined to a portfolio of mortgages, unsecured credit and deposits. Barclays is overhauling its business by cutting its workforce and selling off some European operations. Mr. Gortázar says the deal will strengthen Caixabank’s personal and private banking buisness. In May, Barclays said it would cut 19,000 jobs by 2016, nine thousand of them in the United Kingdom. In July, it said it was abolishing bank cashiers, i.e. all its UK cashiers would be promoted to ‘community bankers’. It also announced the creation of a ‘bad bank’, which included its retail divisions in France, Portugal and Spain.